Never say never: Marvel and Disney are talking Gunn! Hey folks... the GUARDIANS OF THE GALAXY 3 drama has another wrinkle tonight. 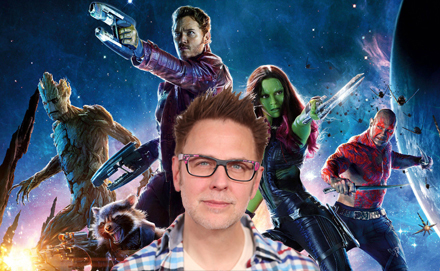 Eight days after Brent Lang and Justin Kroll at Variety declared the sad news that Disney would never reconsider hiring James Gunn for the Guardians of the Galaxy films, Mike Fleming Jr. over at Deadline Hollywood reports that sources are telling him Marvel Studios is pleading Gunn's case to Disney, and that the next 24 hours are crucial to the franchise. Ultimately, the future of Gunn's participation with GUARDIANS OF THE GALAXY will depend on whether Disney is prepared to get into what will be a public relations war with an insidiously persuasive Alt-Light to protect their image, if they are even willing to recant Walt Disney Studio Chairman Alan Horn's very definitive statement that Gunn is no longer welcome in the Mouse House. This article bolsters my belief that, either one way or the other, the matter will be decided for good tomorrow by 5 p.m. Pacific, as Marvel and Disney must carry on with their production schedules. Crossing everything I got that Disney will decide it's much more fun to stick to their Gunn and use their considerable power to make certain Cernovich can't pull this kind of nonsense with another of their key people again. Good luck, James.